I use a five star rating system for my reviews on The Runaway Reader and I've found that sometimes, there are discrepancies between reviewers and readers alike on what a rating means for them so to clear up any confusion, here is an explanation of what I mean when I give a book the following ratings. Note that these are based off of Lori at Pure Imagination's word ratings. This book was magnificent! I enjoyed every second of it and would definitely consider rereading it. Absolutely fantastic! A new favourite. See all five star reviews. This book was great! I had a fun time reading it. There may have been tiny things that stopped me from giving it five stars but nothing major. It was still a solid read. See all four star reviews. This book was good. There were a few more things that bugged me overall but it wasn't bad by any means. It's a book that I think is still worth reading but you might just be better off borrowing it instead of buying it. See all three star reviews. This book was all right. Nothing special but it wasn't terrible either. This rating mostly means indifference. See all two star reviews. I did not like this book at all. There were too many things that I could not overlook. Just wasn't my cup of tea. See all one star reviews. The Badge of Honor is something special I do here on The Runaway Reader. It's basically for all those books that I REALLY REALLY loved. These are my absolute favourites, books that I recommend to others the most. If I had a 6+ option on my blog, these books will get it. The highest of honors. 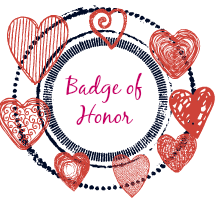 See all books with the Badge of Honor.